Monstrer-ous | Homesewn. By Kelly. 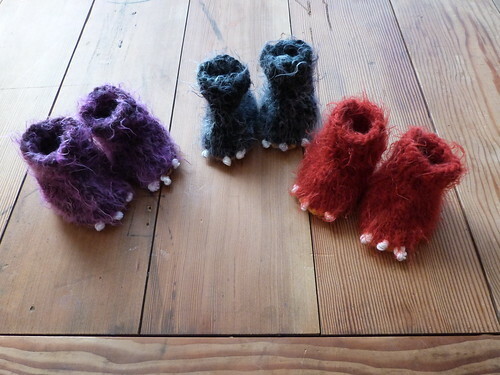 Tiny yet frightening newborn booties, in three fierce colorways! You remember fall 2010’s Monstrer Booties? (My favorite was, of course, the Yeti!) 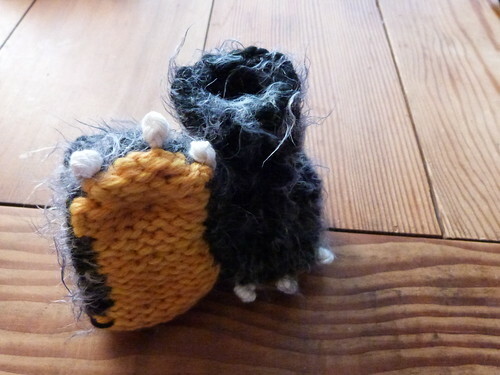 Well, those have gone off to cuddle the tiny toes of other babies and I was feeling a bit sad. 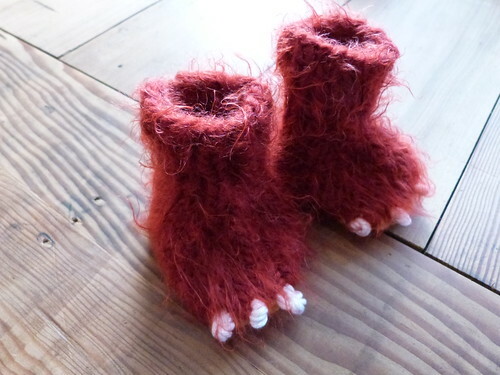 I sat next to my husband and knit these while we watched silly television programs, and each time I’d get done with claws I’d go, “Grrrr!” and kick/scuff Ralph with these scary yet tiny paws. Three colors: Purple Startle, Vermillion Crocodilian, and Bitsie Boogie. 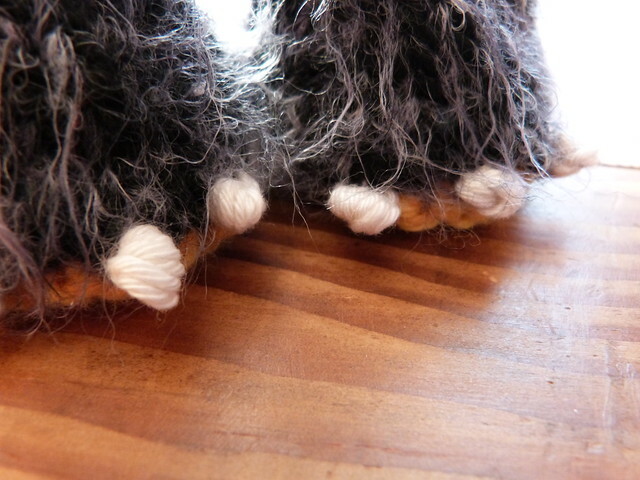 100% wool sole, wool/nylon/acrylic body, cotton “claws”. Handwash and air-dry. 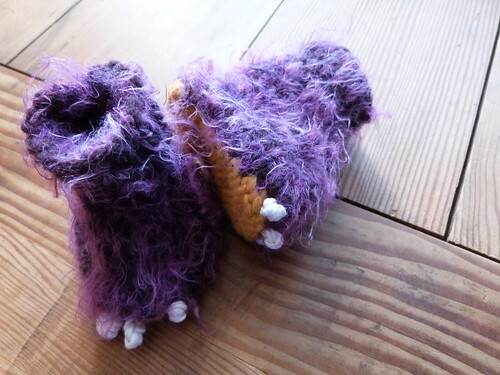 Each pair comes with its own handmade box and monster card! Please include what text you’d like on the card AT THE TIME OF PAYMENT – otherwise I will make the card blank. $8 shipping in US. Outside US? Call/email/text. If you have any questions at all, call/email/text (kelly AT hogaboom DOT org, 360.500.3287). Click on over to buy. * The extra “r” in “monstrer” – not a typo! This entry was posted in available. Bookmark the permalink.